Every small business relies on word of mouth to grow. You want people to know about you, to trust you, and to think of you when they need something. Sure, having great customer service and a convenient location is one thing, but it’s really the reputation your business has that seals the deal. Simply put: if you’re a local business, you need to have positive reviews. Gaining reviews can happen in a few ways. First, they can happen organically, which is how most reviews tend to happen for businesses anyway. The downside with waiting for your customers to leave a review is that they usually aren’t motivated to do so, which means fewer reviews and possibly a longer wait between reviews. Also, there’s the risk that those reviews come from an unhappy customer rather than a satisfied one. Again, it’s all part of the business landscape, but it really does make a difference if you can motivate someone who had a great experience to share it with the world on a review. Therefore, another option to gain reviews is to motivate. Maybe it’s a coupon in exchange for a review. Or a call to action to review your business posted at the point of sale or near the entry of your location. Maybe it’s giving reminders to customers on your social media profiles. Motivating customers to leave a review can usually work in your favor, but unless you make it easy for them to leave one, they might not take advantage of your offer. So, how can you do it? How can you make leaving reviews on your local listing even easier? The answer is simple: email markup. Email markup is a whole new world for small businesses. Most small businesses aren’t using this tactic and the ones that are see fantastic results. If you do a newsletter or send autoresponders to your customers, you need to take advantage of email markup. How Can I Use Email Markup? Currently, email markup is only available to Gmail users, but there may be an opportunity in the future for it to work for other email clients. Email markup uses the same principles of schema markup that you might use on a webpage. For example, on your small business website, you may use schema (also referred to as rich snippets) to enrich your organic search engine listings by providing search engines additional information. 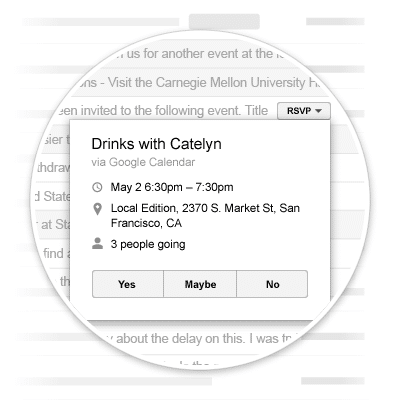 This is just one example of how Gmail can support email markup to enrich the user experience. 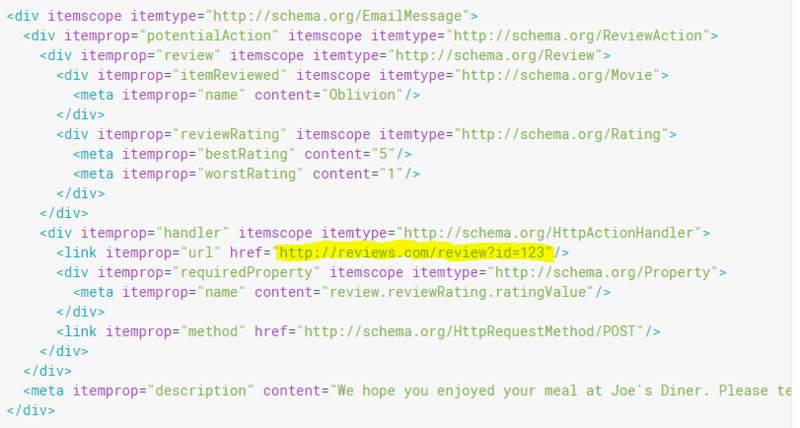 Currently, Gmail allows for a few types of actions using schema markup: one-click actions, RSVP actions, review actions, or go-to actions. For the purpose of this tutorial, we’ll look specifically at the review action and how you can use it to supercharge your reviews online. 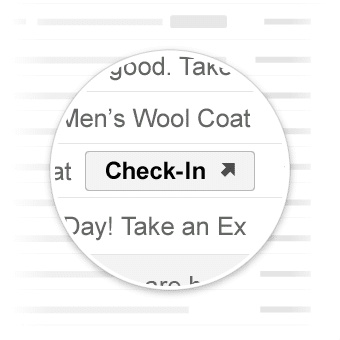 When you use this feature, Gmail may show a review button next to your email. This prompts a user to leave a comment and leave a numeric review value. 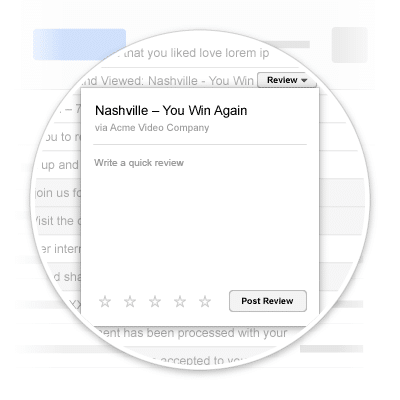 It’s seriously never been easier to get someone to review something via email marketing. To begin, you have to register with Google. The reasoning behind this is that Google wants to ensure the integrity of their Gmail product and so, they’ll make sure that you’re in compliances with email sender quality guidelines, bulk sender guidelines, and action/schema quality guidelines. For a full list of compliance rules and information on how to get reviewed by Google before beginning markup, check out this resource. You’ll also want to make sure how to embed schemas in emails. Gmail supports both JSON-LD and Microdata formats, so you can use either to basically tell Gmail what the action is and what you want the user to do. For example, if you’re sending an email about a new product that you’ve launched in your store and you want people to give feedback on it, you might want to include a review action inside the email. Once you have the right markup, it’s basically copying and pasting that markup HTML into your email template. Most email clients or email marketing services will have fields available within them to allow for you to use custom HTML to complete your email blast. What Markup Do I Need? Once you’re ready to start sending emails using markup, you’ll need to get the right Schema.org code to actually create the actions. Google has a helpful tutorial to show you the format you would need to use, but beforehand, you really need to take a close look at how schema works. Schema.org is not only the standard for this type of markup, but it’s also an incredible resource to learn how to use this structured data to improve your visibility as a local business. Here’s where to get started. Google gives a good example of how to actually implement the right format of schema. If you’re stuck on how to generate the code itself, you can try a schema generator. Just be sure to cross-reference what you’re generating with the examples Google provides (see below) to make sure that the data is formatted correctly. Highlighted above, you’ll notice a URL that will be where your review will actually point to or be submitted to. If you’re using a review manager of some kind or want to send reviews to a third party, you’ll want to refer to their API or review guidelines to see where to point the review once it’s been submitted. You’ll also see that within the “description” field, there’s a prompt you can customize with a message or call to action. You can also customize the “bestRating” and “worstRating” on a scale of 1 to 5. NOTE: Currently, there is no option available to gain Google+/Google My Business reviews using the review action markup within Gmail. However, what you can do to get more Google My Business or Google+ reviews is use a Go-To Action, specifically the viewAction. In the Google provided example below for a view action, they’re prompting someone in email to click on an action that looks like this to go to another page where they can perform additional actions. BONUS TIP: Also, if you meet the qualifications necessary, you can add an associated Google+ page widget in Gmail. 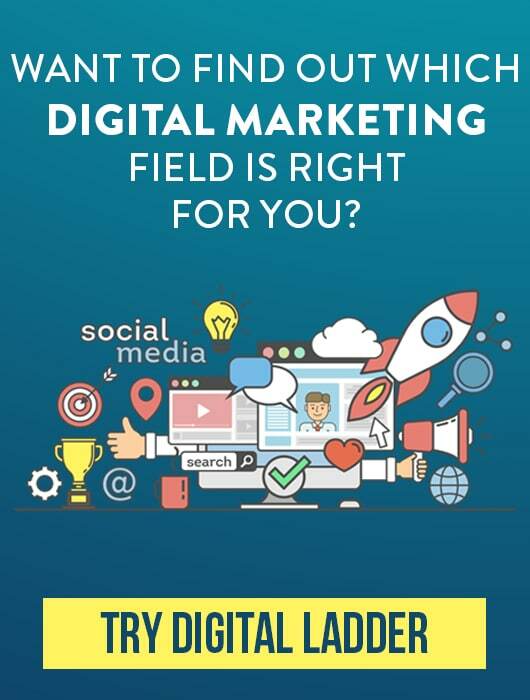 This is just another way to enrich your possibility of getting additional Google+ followers or interaction on your page, such as reviews. Once you’ve generated your code, you’ll want to make sure to test it. Google has several testing options to choose from, but testing your code is absolutely essential before you send your email. And that’s it! Once you’ve implemented email markup, you’ll notice more opportunities for your customers to start giving you the feedback you need to grow. Remember: the easier you make it for them, the easier it is for you!